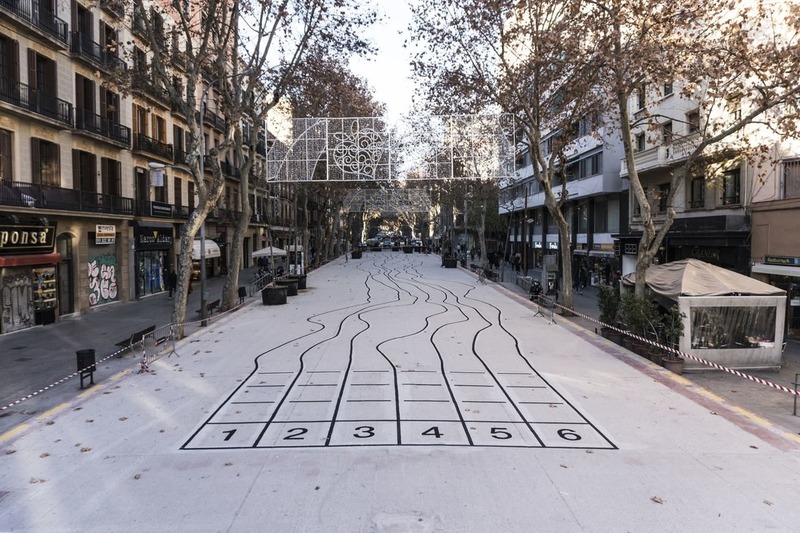 During the first week of January 2019, Ampparito, an artist from Madrid, performed an artistic intervention with the collaboration of ONCE, Chan and Octavi Serra that turned the Ronda de San Antoni, located in Barcelona, into a colourful playground for children. 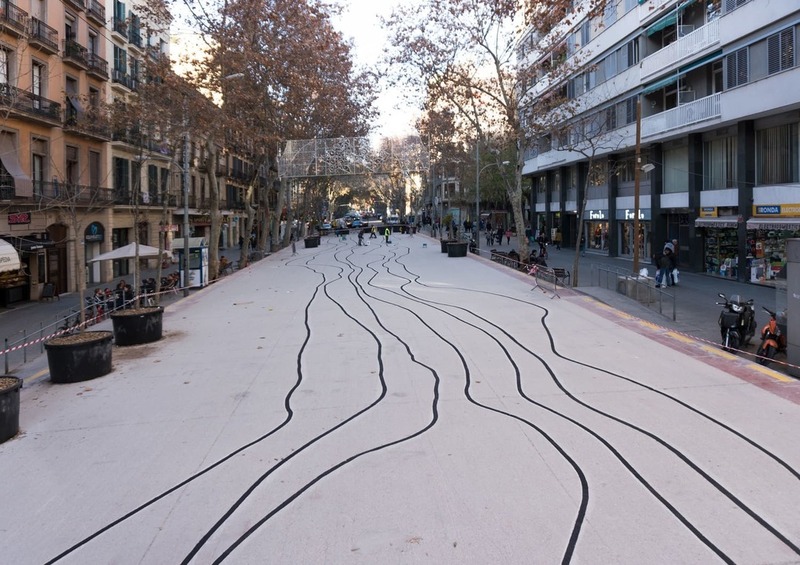 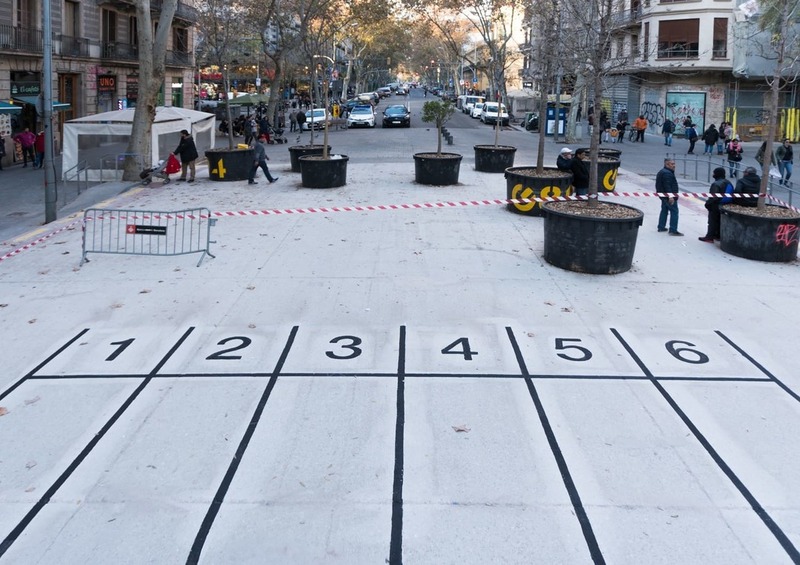 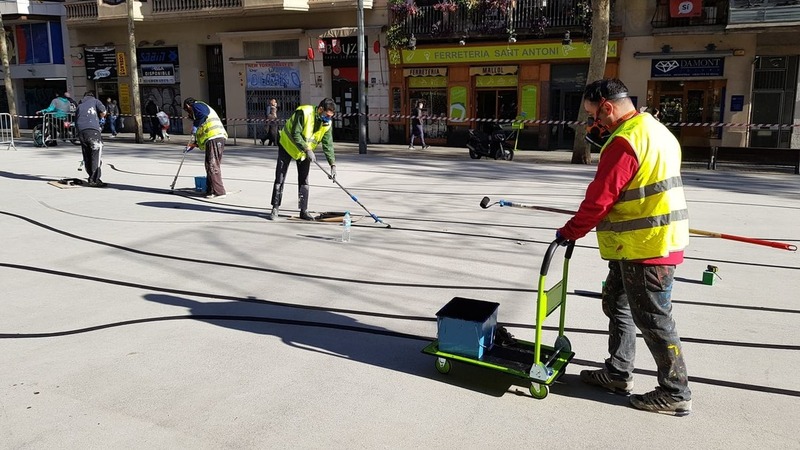 This initiative has been promoted by the Barcelona City Hall and has been managed by Rebobinart, in which the objective was the adaptation and revitalization of this space with the execution of this artistic production but also with the installation of new urban furniture such as benches, chairs, trees and new street lights. 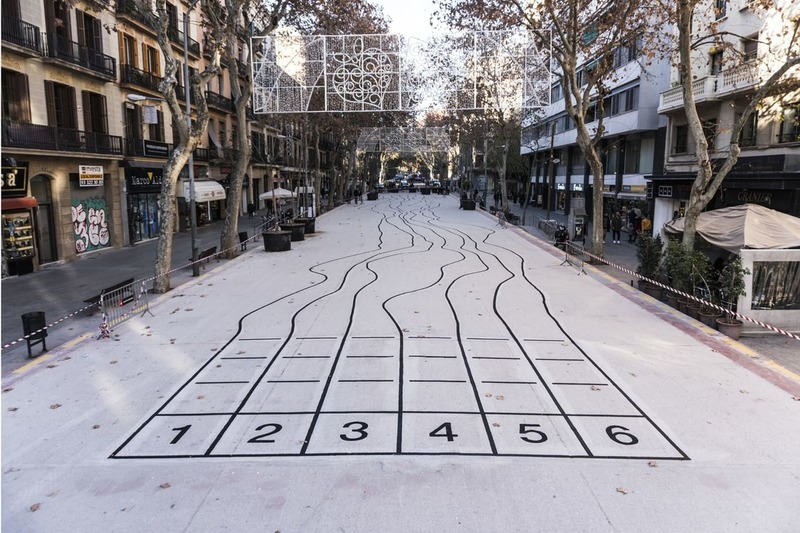 In addition, the artist wanted to create a reflection about equality between people and the false equity of the rules with this production.